I always say, if you’ve met one person with Alzheimer’s—then you’ve met one person with Alzheimer’s. Many people don’t realize how each individual has a unique experience with the disease—unique symptoms, a unique path to diagnosis and unique needs. November is National Alzheimer’s Disease Awareness Month and National Family Caregiver Month, and as a member of the Alzheimer’s Association National Early-Stage Advisory Group, I’m proud to share my story to help raise awareness of disease and those affected. A year ago, at age 62, I was working as a third-grade teacher when I noticed I was having problems with balance and gait. As a two-time breast cancer survivor, I went to see my doctor, who suspected the cancer had returned and spread to my brain. You can imagine my shock and devastation when a series of tests revealed I had Alzheimer’s disease. 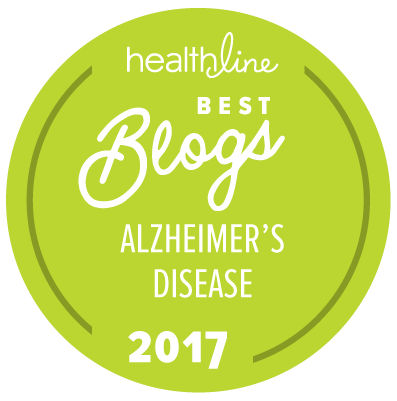 It took me a long time to come to terms with the diagnosis, but I found solace and support in the Alzheimer’s Association. I decided that while I was still able, I had to “Get real” with the details of my diagnosis and start planning for the future. Although I retired from teaching, my background in education has been a great benefit in my journey with Alzheimer’s. In my previous job as a principal, I adopted the habit of taking copious notes, writing down conversations I had with parents, students and teachers. Now, I use that same practice to stay on top of my day-to-day activities. I write down everything in a notebook I carry with me: what I did, who I saw, what I said, the names of doctors and books I want to read. I stay active in the field of education by tutoring and working at after-school programs. My life with Alzheimer’s is somewhat unique because I live alone. To keep myself safe, I have routines—I have a specific place where I keep my keys and I have a process to make sure the stove is turned off every night. Right now, I am still in the early stage of the disease, and very independent. I’m grateful for the opportunity I have to plan for the future. I know there will come a day when I can no longer care for myself or manage my own finances. My brother-in-law has power of attorney, and I’ve started to visit long-term care facilities in my area. I’m fortunate to have found a steady source of support in my friend Jean. We taught together for a couple of years before my diagnosis, but I don’t know what I’d do without her now. She keeps me social by inviting me to everything—and I mean everything! We read books and go to the movies together and discuss them. She sends me notes about things I might find interesting—just this morning, she emailed and told me to read the opinion column on the stimulus plan in our newspaper. She makes me homemade chicken rice soup and chili. We have tickets to see “Jersey Boys” together later this month. In short, she is a beautiful person, inside and out. She nurtures my soul. This November, I’m thinking of all of those facing Alzheimer’s, going through their own unique experiences with the disease—and of the many caregivers whose love and support is the most valuable gift of all. Janice Pfeilschifter lives in Aberdeen, North Carolina and is a member of the 2012 Alzheimer’s Association National Early-Stage Advisory Group. As an advisor, she hopes to share the perspective that life does not end with a diagnosis of Alzheimer’s disease. Thank you. When my friend Jude was diagnosed with Alzheimers I decided to move in and keep an eye on her. Although I work fulltime I'm there in the evening, cooking dinner, etc. She does have children and a partner who are out of town but they have no idea the challenges she faces every day. I found it particularly helpful your processes with keys, stove etc. and will put those in place. Jude is 63 and a beautiful gentle person. My mom, left us last year, oct 13th 2011. The way it happened was not what was told to me. However, She had vascular dementia. Not true alzheimers. I have read up on this horrid disease. When a person with alzheimers is diagnosed, they not only have a smaller brain, but the brain is like swiss cheese. The Dr. That discovered it was name, of course, Dr. Alzheimer. He noted a 52 yo woman was un able to suddenly care for herself, and things did not stick with her. Upon her demise, he did an autopsy, found that not only was her brain smaller, but it was very fragile, When he removed it , he found to his surprise, the brain had not only srunk, but it had holes in it. Thus causing him to investagate this further. The reason I know this i went looking. No one could tell me exactly what was going on with my mom. So being a nurse for about 18 years, I pulled a book called Alzheimers for clinitions. I read it..very carefully, and found I was right. My moms Dementia was unlike any others. She was throwing TIA's aka..mini strokes…Thus causing damage to the brain a different way. She said yes I am ready to go. I thought, where are we going now. Your story resonates with me as my husband has moved from a Diagnosis of Mild Cognitive Impairment (around age 50 or so) to most likely Vascular Dementia. I am a nurse of 35 + years who is caring for him. I attended several support groups and there are some differences that I note in his behavior vs. other descriptions I hear. At this point he is 57 years of age and more dependent on me for help with ADLs. Thanks for sharing your stories as it helps to be reminded that you are not alone in this experience. In all of my reasearch I also found it interesting, that this can happen at any age. Not just to the elderly, No one is immune. Another thing I found was also Intreging was no two really go the same. So if your loved one does not go back to fetal possition, does not follow protocal as my mom did not. Do not feel bad. They don't want us to see them go they love us that much. And to hurt us it the last request I can imagine them making. One thing is for sure, and i believe this in my heart of hearts….they have heaven rocking to the sound of tommy dorcey, and other big bands..and they are also my guardian angels. they are there when I need them the most. My mother has Alzheimers it took almost two o' more years to diagnostic, thanks that I was unemployment at that time and could see running water, open refrigerator, stove turned on, and giving all the foods to the visitors etc. She is cancer surviver for twenty years. Great story Janice! Thank you for sharing it! I wish the best for you and will be praying for a cure! I lost my Mom three years ago, due to complications from Alzheimers. May hope, love, and peace guide you in life and carry you through! Read this – be aware….Don't confuse this with being forgetful but watch your neighbors, your family, even your friends…. I have Alzheimer's and it isn't so bad because I have a great wife with a sense of humor. Sharon: very nice article by you. Always good to year from one of the "family"
Laugh or Cry and maybe a little of each. Great story, Janice. Keep the faith!! I was also diagnosed with Alzheimers at 62. I was able to afford to retire early from the "job from hell" and the elimination of that stress helped me tremendously. Alzheimers runs rampant on both sides of my family so it was really no surprise when I was diagnosed. I ve watched several members in my family, including my father, all start having problems in their 60's and all lived good active lives up into their upper 80's and only having Real problems in only the last couple of years of theirs lives. I ve decided that I am am not going to let this "death sentence disease" get me down !! I have done alot of reading about dietary supplements (anti-oxidents in particular) and now have several that I take daily. My mind is clearer, able to retain what I read, don't lose things anymore, am staying active and in general feel much better. I am NOT going to let this get the best of me and I am going to beat this !!!! My goal is to live to 90 and to have all my marbles when I get there. I'll write again when I'm 90 and give you an update !!! So nice to read your post Janice, I wish you all the best. I am a caregiver to my mom of 82 years old, Mollie. She has had Alz for 5 years, she was a very active senior line-dancer, but no more although she loves walks in the morning and the evening she makes up stories on everything she sees. Mom still plays piano wonderfully. The journey with her is very rewarding, we enjoy the laughter and make sure there is plenty of it daily. There is more to laugh about then there is to be upset about. She does not know me anymore, but I know her and I am honored to help her to the end. I thank Jesus daily for having this opportunity to care for her to the end. My husband has been recently diagnosed with mild-to-moderate alzheimer's. The disease runs in his family. It has affected his spatial reasoning, putting clothes on, writing his name, counting his numbers, cutting his food, problems in talking coherently, etc, but his memory is still intact. He understands what is going on and has a very positive outlook which I think with the medicine (Namenda & Aricept) is helping slow the progress down. It is tough as his caregiver to see him lose his ability, but I encourage and support him whole-heartedly and I encourage those family members not to be "afraid" or be in "denial" of the disease but to learn as much as possible about the symptoms early on. Of the 142,000 people in Massachusetts and New Hampshire with Alzheimer’s disease, approximately 76,000 of these are in the early stages of Alzheimer’s disease. People with Early Stage Alzheimer’s disease are a particularly vulnerable population. Their awareness of their cognitive impairments is at its highest, and the accompanying feelings of loneliness, grief, frustration, and anger are often intense. As with any serious disease, low-income individuals are often the hardest hit by a diagnosis and have a strong need for services that are free of charge. Currently, our chapter is experiencing a crisis in Early Stage support group leader availability. It is very difficult to keep a constant number of group leaders qualified to deal with Early Stage patients who are available year round and who are willing to volunteer their time with no financial reimbursement. We must devote more time and resources in the upcoming year toward recruiting, training, and retaining qualified support group leaders. A second need is for support to be able to continue to provide a regular schedule of educational programs for people with Early Stage Alzheimer’s disease in locations around MA and NH.